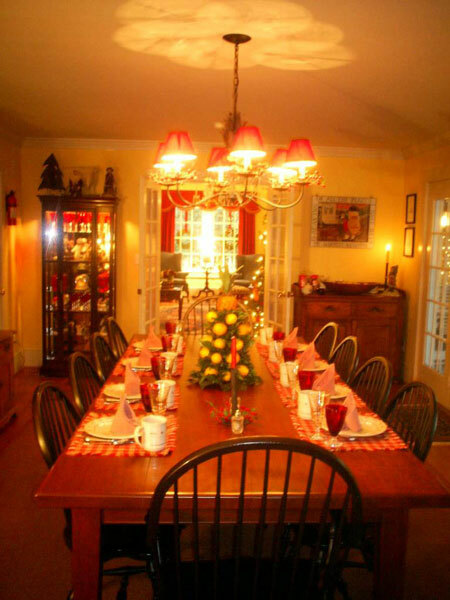 Call or email us to purchase Boxwood Inn gift certificates for your friends and loved ones! 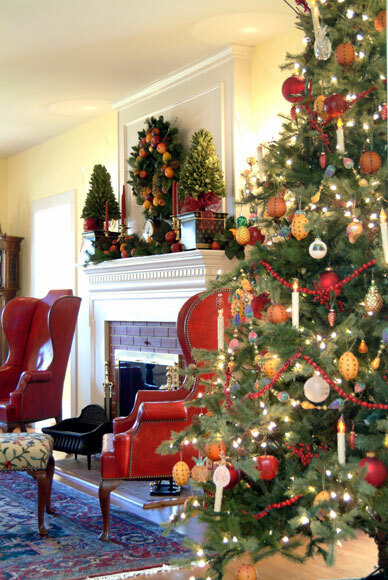 Your gift certificate package includes two custom ceramic mugs and a Virginia Bed and Breakfast Association cookbook, a $50 value! 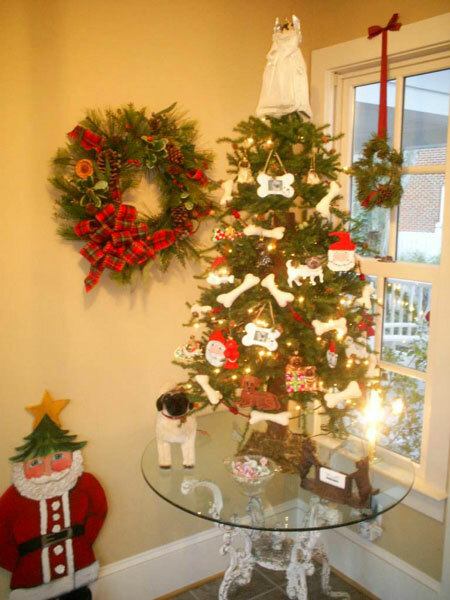 The perfect stocking stuffer would be Christmas in Williamsburg! 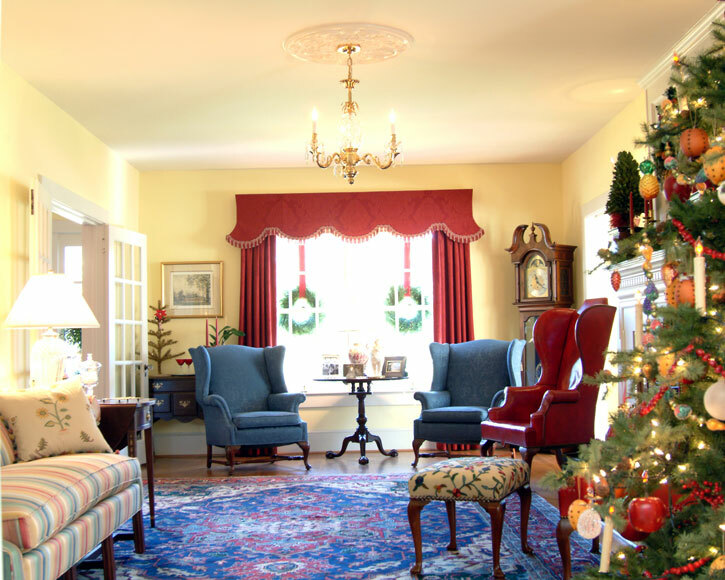 Sandi and Steve take real delight in decorating Boxwood Inn of Williamsburg for the Season and look forward to sharing their cheerful B&B with new guests and old friends alike. 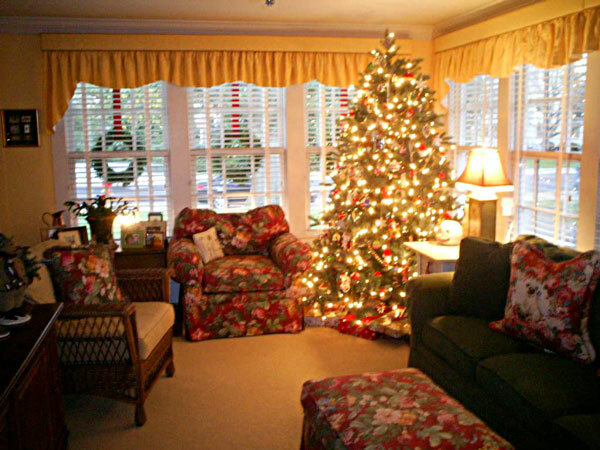 Christmas decorations include Christmas wreaths, garnish and fruit, Sandi's snowman display, real boxwood wreaths on the exterior of windows, candles in the windows, and themed-Christmas trees throughout the Bed & Breakfast -- themes consist of a pineapple and fruit tree, snowman tree, man's best friend (dog) tree, Santa Claus tree, antique ornament tree, and of course the family tree. 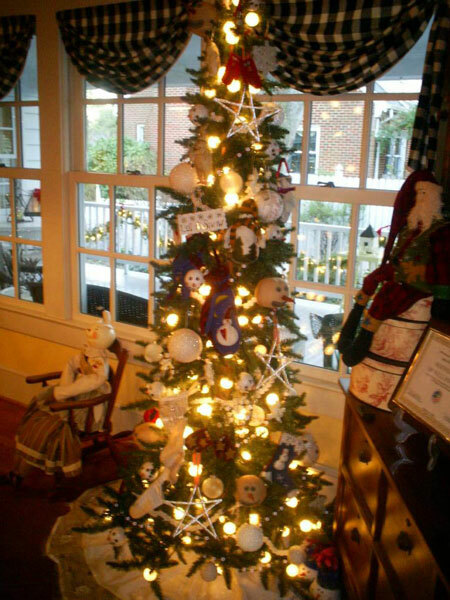 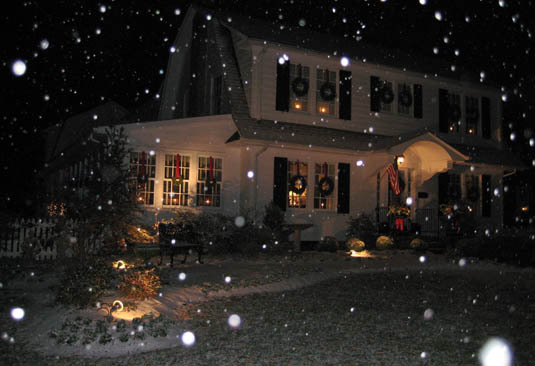 If you are planning to spend Christmas in Williamsburg, please consider staying at the Boxwood Inn of Williamsburg!